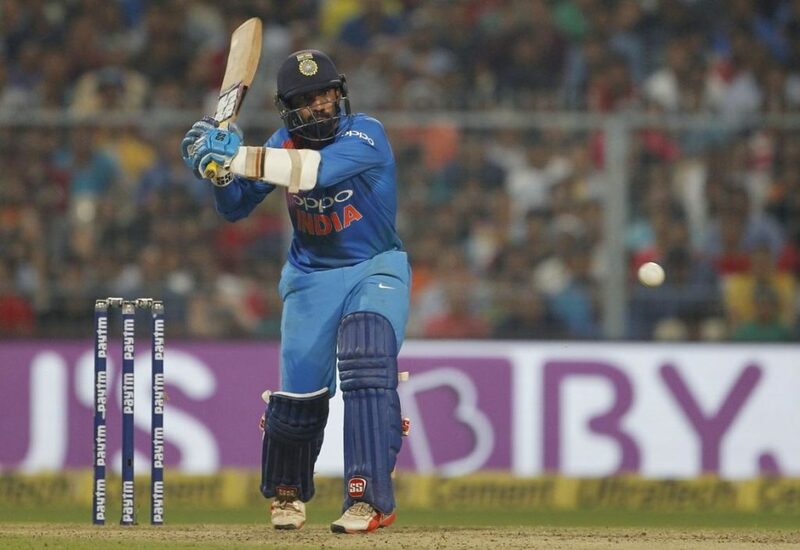 Debutant Krunal Pandya and the wicketkeeper-batsman Dinesh Karthik guided India to a victory after safely chased the 110-run target in 17.5 overs while they lost five wickets (110/5) against the Windies in the first T20I at Eden Gardens (Kolkata) on Sunday night. In reply, the Indian top-order batsmen struggled against the Windies bowlers and lost their wickets at cheap. While both the openers – skipper Rohit Sharma (6) and Shikhar Dhawan (3) – failed to reach the double-digit scores along with the no.4 batsman Rishabh Pant (1), KL Rahul (16) and Manish Pandey (19) failed to reach the 20-run marks. Wicketkeeper-batsman Dinesh Karthik and the debutant Krunal Pandya played crucial knocks and rescued the hosts to secure a five-wicket victory with 13 balls remaining. Both batsmen remained unbeaten as Karthik scored 31 runs off 34 balls (3 fours and only six) and Pandya played a memorable debutant knock of 21 off 9 balls (3 fours) to secure a brilliant victory. Among the Windies bowlers, the debutant pacer Oshane Thomas (2/21) and the skipper Carlos Brathwaite (2/11) both took two wickets each, while another debutant left-arm spinner Khary Pierre (1/16) picked up one wicket. 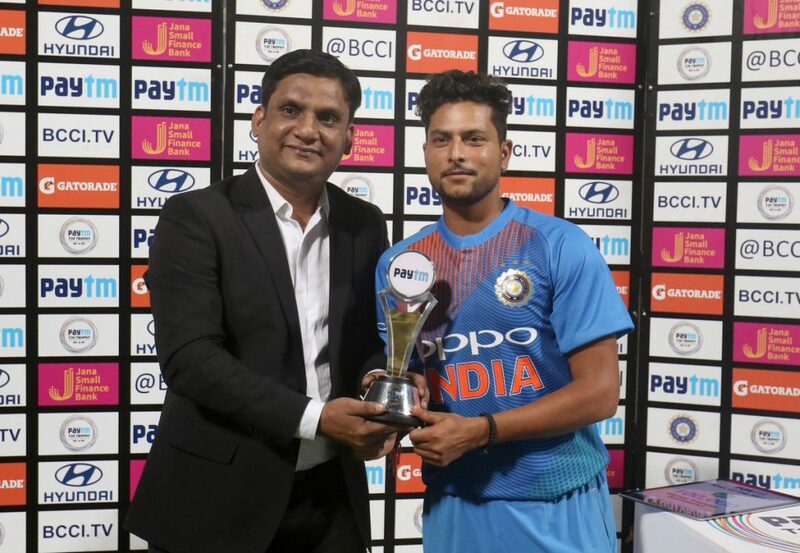 Kuldeep Yadav won the Player of the Match award for his brilliant bowling. 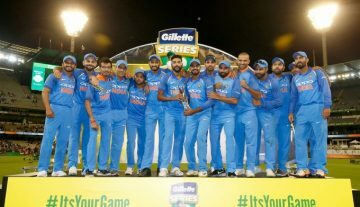 With this first T20I victory, India has taken the 1-0 lead in the three-match T20I series. Extremely impressed with the calmness of Krunal Pandya. It has only been one game but he gives the impression he is ready. This rishabh pant is msd's replacement! !